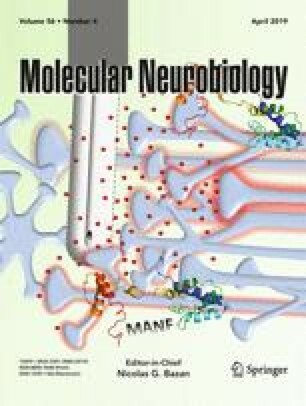 Soluble epoxide hydrolase (sEH), an enzyme with COOH-terminal hydrolase and NH2-terminal lipid phosphatase activities, is expressed in regions of the brain such as the cortex, white matter, hippocampus, substantia nigra, and striatum. sEH is involved in the regulation of cerebrovascular and neuronal function upon pathological insults. However, the physiological significance of sEH and its underlying mechanism in modulating brain function are not fully understood. In this study, we investigated the role of sEH in anxiety and potential underlying mechanisms in mice. Western blot for protein phosphorylation and expression was performed. Immunohistochemical analyses and Nissl and Golgi staining were performed for histological examination. Mouse behaviors were evaluated by open field activity, elevated plus maze, classical fear conditioning, social preference test, and Morris water maze. Our results demonstrated that the expression of sEH was upregulated during postnatal development in wild-type (WT) mice. Genetic deletion of sEH (sEH−/−) in mice resulted in anxiety-like behavior and disrupted social preference. Increased olfactory bulb (OB) size and altered integrity of neurites were observed in sEH−/− mice. In addition, ablation of sEH in mice decreased protein expression of tyrosine hydroxylase and reduced dopamine production in the brain. Moreover, the level of phosphorylated calmodulin kinase II (CaMKII) and glycogen synthase kinase 3 α/β (GSK3α/β) was higher in sEH−/− mice than in WT mice. Collectively, these findings suggest that sEH is a key player in neurite outgrowth of neurons, OB development in the brain, and the development of anxiety-like behavior, by regulating the CaMKII-GSK3α/β signaling pathway. The online version of this article ( https://doi.org/10.1007/s12035-018-1261-z) contains supplementary material, which is available to authorized users. The authors thank Editage for the help with language editing (online.editage.com.tw/). HT Lee, KI Lee, and HC Lin performed experiments or analyzed the data. TS Lee designed the experiments and wrote to the paper. All authors have read and approved the submission of the manuscript. This study was supported by grants from the Cheng-Hsin General Hospital (CY10606 and CY10708) and Ministry of Science and Technology of Taiwan (105-2320-B-010-036, 105-2811-B-010-022, 106-2320-B-002-057-MY3, 106-2320-B-002-056, and 106-2811-B-002-146). The experiments conformed to the Guide for the Care and Use of Laboratory Animals (Institute of Laboratory Animal Resources, eighth edition, 2011). All animal experiments were approved by the Animal Care and Utilization Committee of National Yang-Ming University.